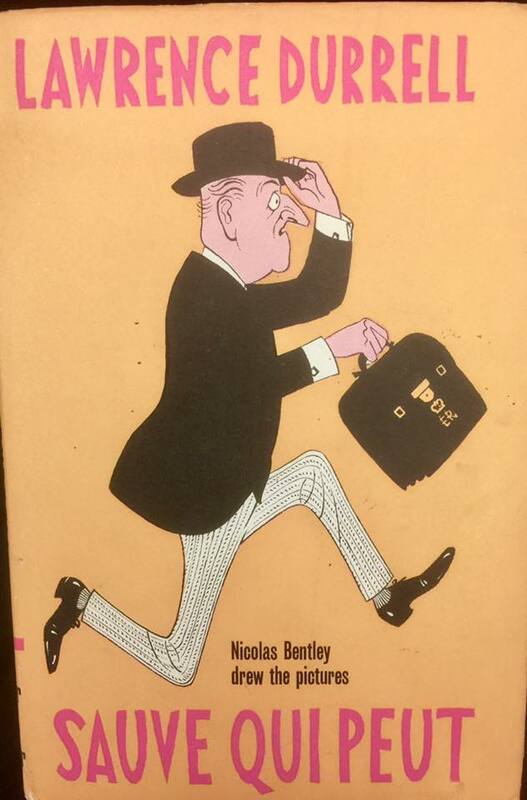 The stories are complemented by the artwork of Nicolas Bentley (1907-1978) who also drew the front cover. 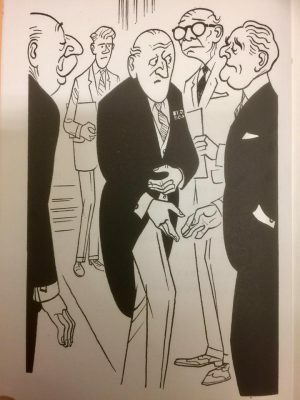 Bentley was a formidable cartoonist who contributed to the political satire of the post-war period in The Sunday Times, Punch, The Sunday Telegraph and the wonderful Auberon Waugh diaries in Private Eye from 1972 onwards. Given the whimsical nature of the stories and their setting in 1960s British Diplomatic circles the choice of Bentley could not have been bettered, they perfectly set the scene for Durrell’s tales which see the return of those other devilish characters Polk-Mowbray, De Mandeville, Dovebasket and the butler Drage. Durrell was of course best known for his quartet of novels which came under the umbrella of The Alexandria Quartet (1962) which included Justine (his best?) from 1957, Balthazar (1958) Mountolive (1958) and Clea (1960) Heavy reading compared to this and his other humorous forays but certainly one for any literature lovers bucket list. But for me, it was his friendship with Henry Miller which was of the most interest, the 1988 collection of their correspondence (The Durrell-Miller Letters) is a marvellous testament to their life and times featuring letters from 1935 until 1980. 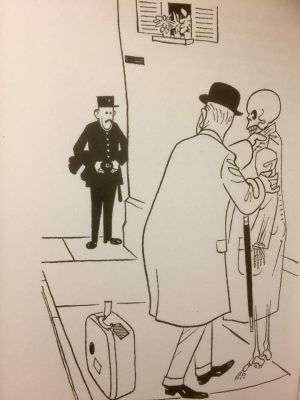 A short book of only eighty two pages with humour some may find dated but others will find charming and nostalgic with its Punch-esque wit and those drawings, we mustn’t forget those drawings. The UK first edition of Sauve Qui Peut was printed by Faber and Faber in 1966.